The skin care expert shows VIOLET GREY how to use Serum C, a super-potent miracle solution that fixes almost every skin concern. 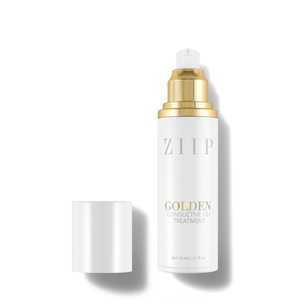 ZIIP Beauty founder and esthetician Melanie Simon is perpetually radiant. 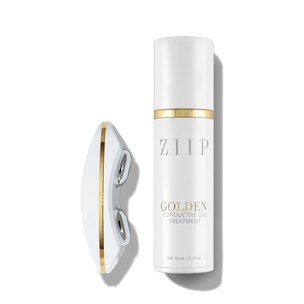 She’s even made her appointment-only magic available for at-home use with her palm-size ZIIP Nano Current Skincare Device, a sleek, user-friendly contraption that links up to an iPhone app targeting dry skin, signs of aging, and acne. In our video series, the skin care guru gives it to you straight up (a phrase she constantly employs), revealing her anti-aging techniques and go-to products. This week, she shows us how to use Serum C, her brand-new, super-potent skin care offering. Vitamin C isn’t a novel ingredient, but Simon knows it better than almost anyone—and her efficacious blend is the next best thing to filler throughout your face. Here, she walks you through how to apply Serum C, the product’s benefits, and why the winning formula is good for everyone. There’s enough vitamin C skin care on the market to fill a large citrus farm (or ten), but what’s different about Serum C is that it offers the ingredient’s highest concentration (15%) and safest consistency possible. Plus, it’s incredibly stable, which most vitamin C products are not. Simon’s elixir is considered to be more potent than L-ascorbic acid and other vitamin C compounds, while also having a higher rate of penetration because it is lipid soluble—just like human skin. STEP 2: Tone (if that’s your thing). 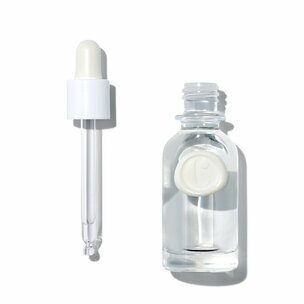 STEP 3: If you use a serum (or three) that’s lighter than Serum C, put it on now. Simon always recommends layering your products in order of thinnest to thickest consistency. STEP 4: Top your lightest serum with Serum C and wait for it to develop a “glaze” and ever-so-slightly solidify, between five and ten minutes. The more you use, the longer it will take to glaze over. STEP 5: Continue with the rest of your routine, like a thicker serum or moisturizer. If applied during the day, don’t forget your sunscreen.